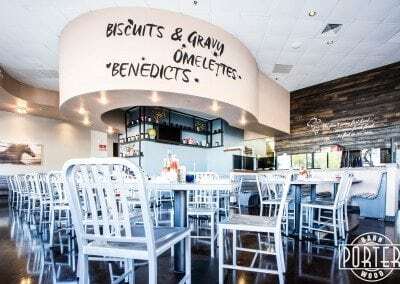 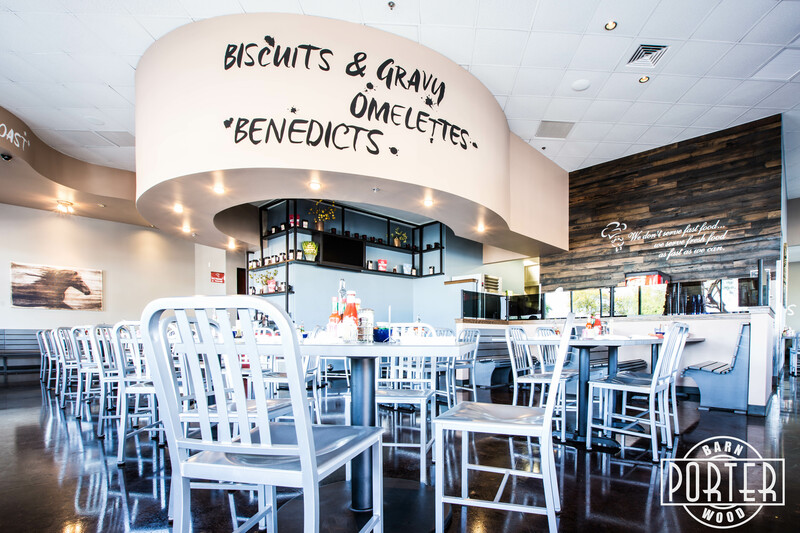 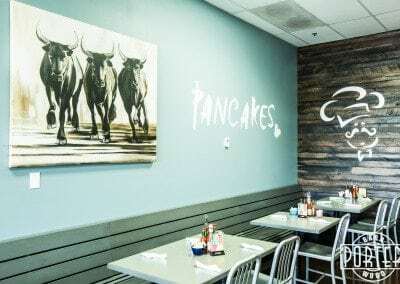 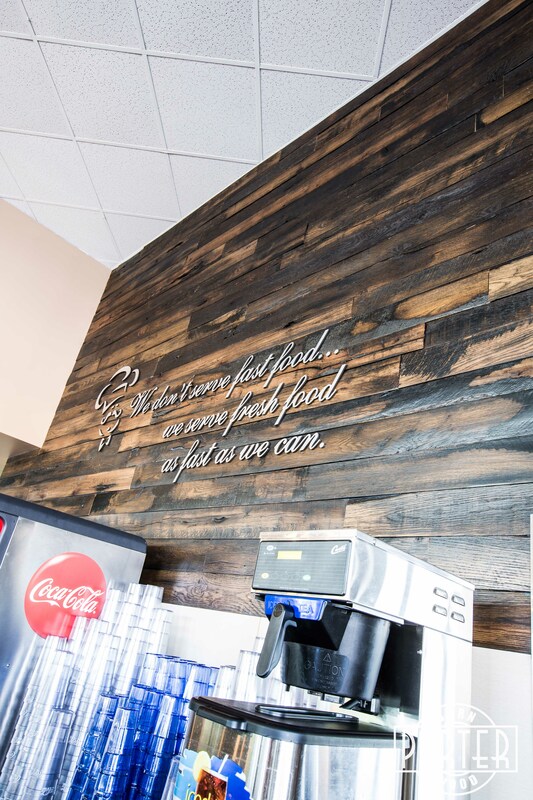 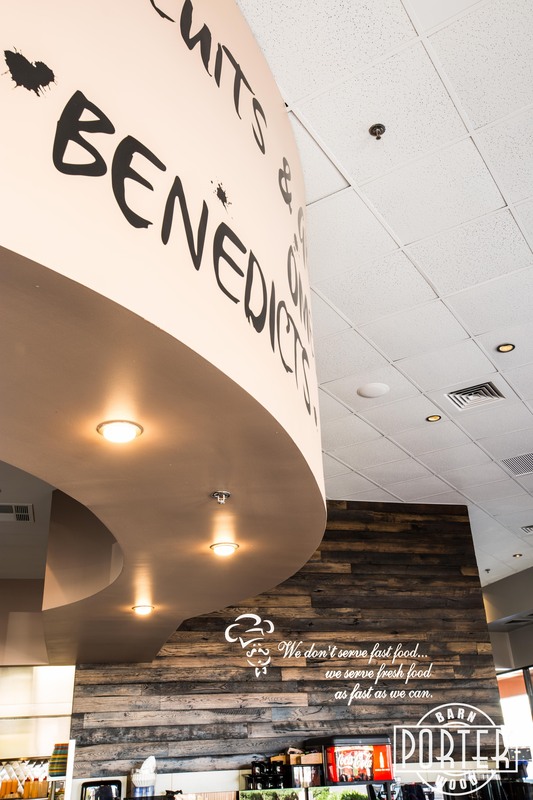 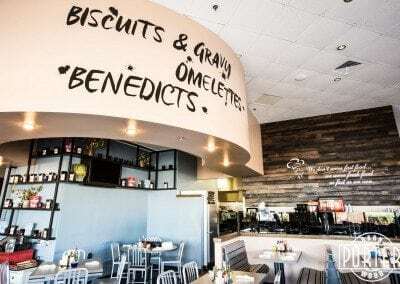 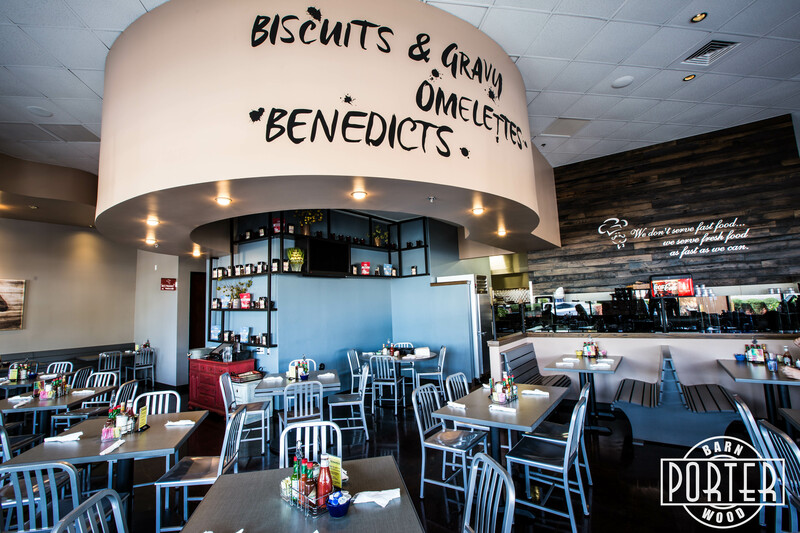 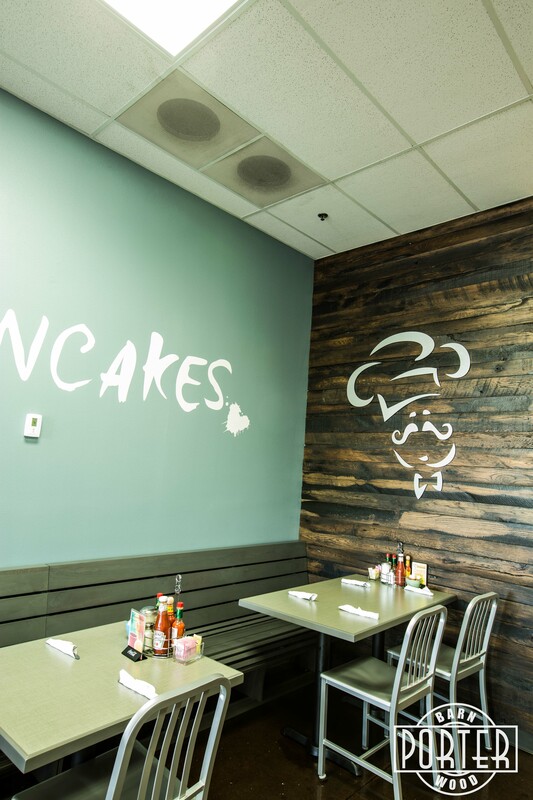 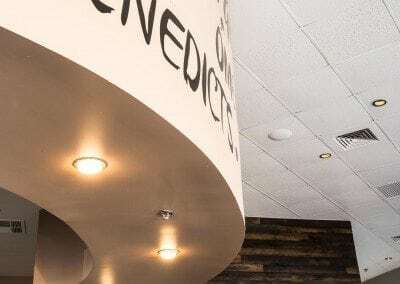 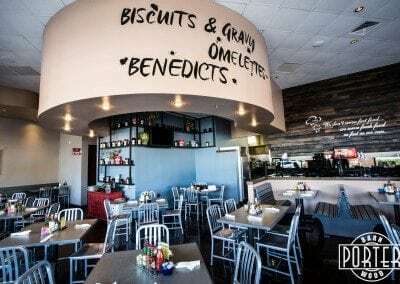 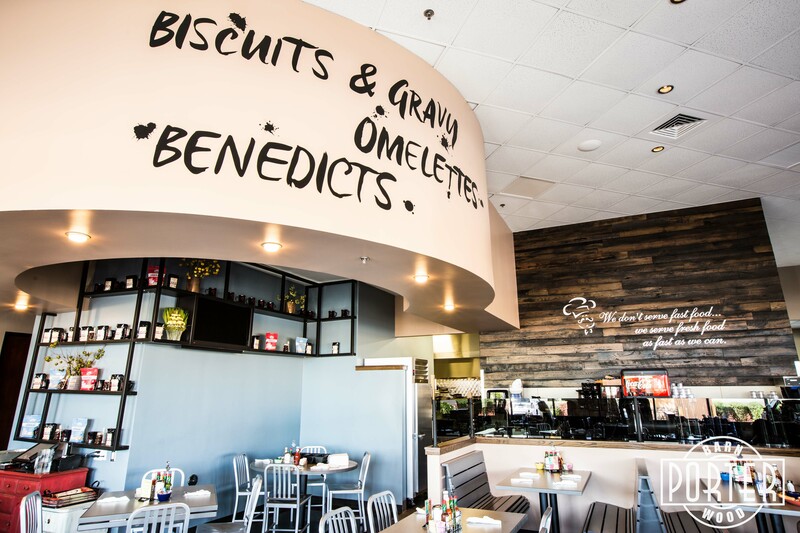 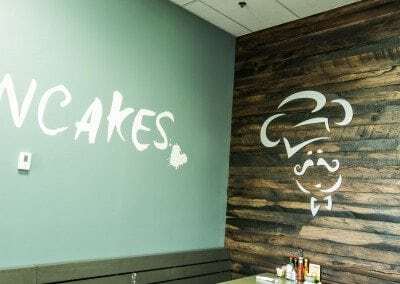 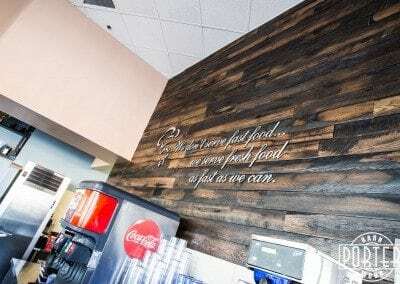 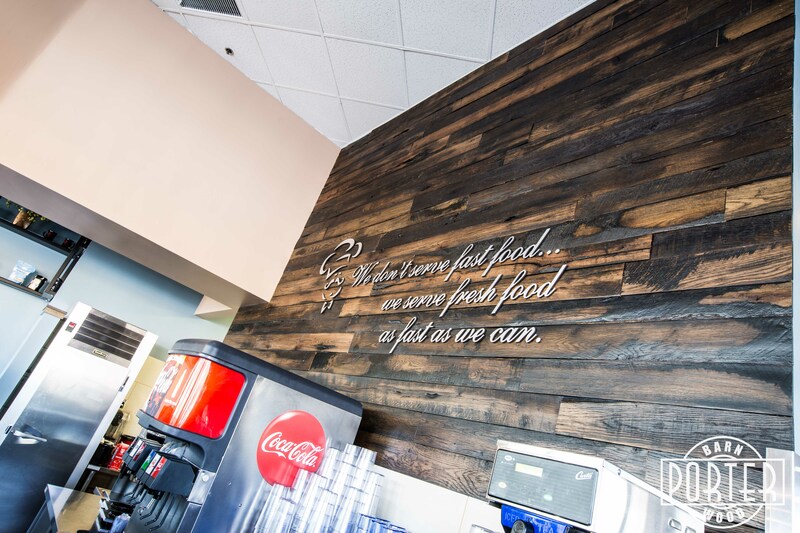 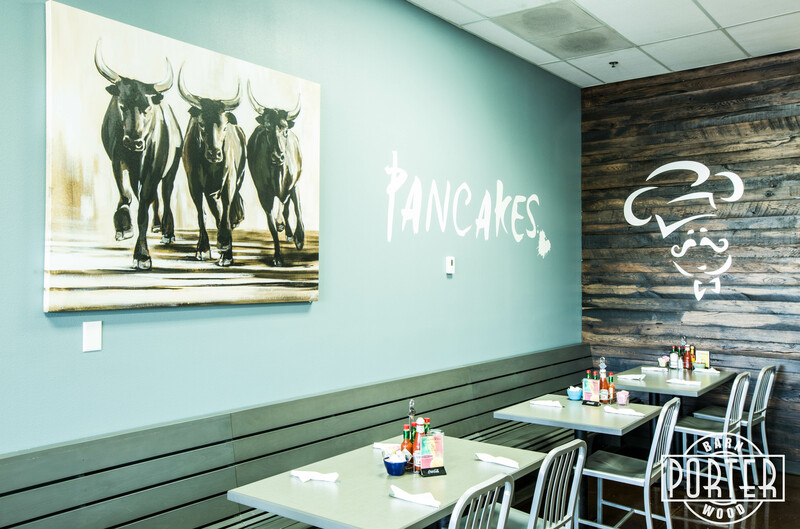 Biscuits Cafe used some of our Speckled Black materials for their restaurant build. 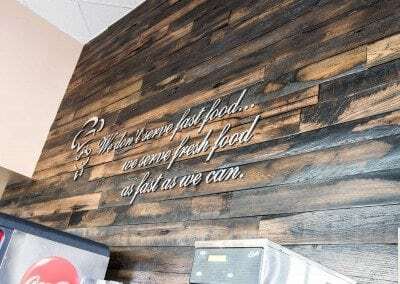 We milled and finished the materials for them. 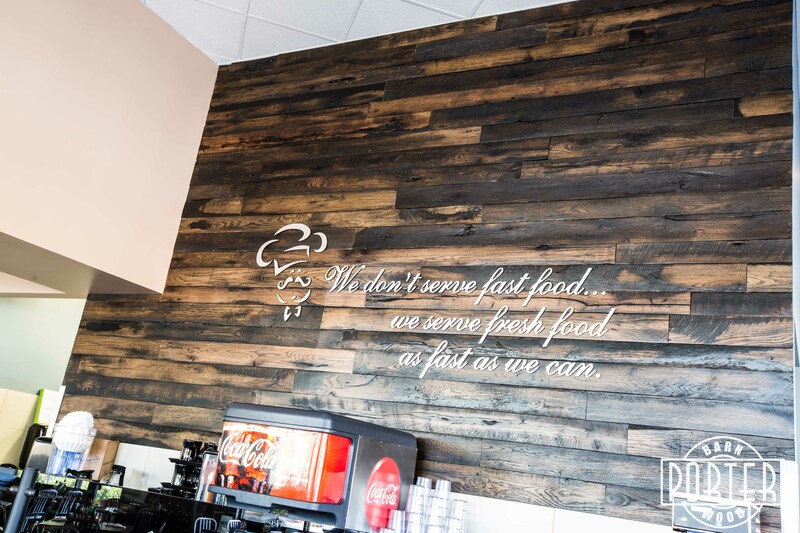 Even a small wall like this can completely transform and warm a space, making it even more inviting. 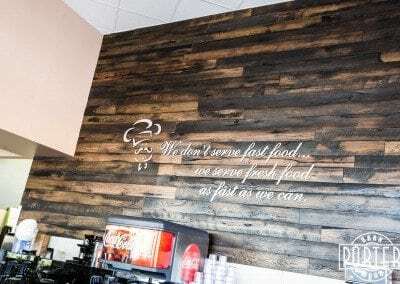 The materials here have been partially sanded down and lacquered to create a washable, soft surface while retaining the rough sawn look and feel of the reclaimed materials.